Q & A with Aussie Pooch Mobile outlining the top advantages of franchising! Aussie Pooch Mobile dog wash & grooming is a mobile dog wash and care franchise. Keep reading to learn all about the top advantages of franchising with Aussie pooch Mobile. 1. What makes your dog wash brand different from others in the market? One of the big differences with Aussie Pooch Mobile dog wash & grooming is the work we do in the community. 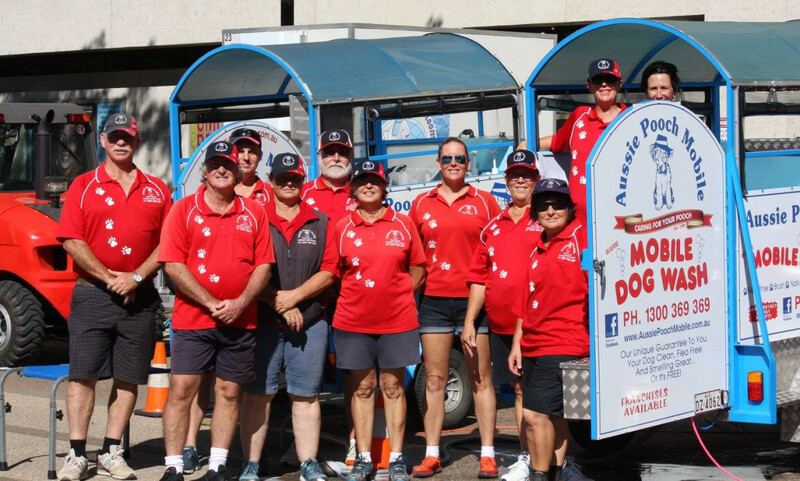 Aussie Pooch Mobile dog wash & grooming is continuously raising funds through the Variety Club so children with special needs can have assistance dogs. Our Aussie Pooch Mobile franchises also help raise funds for animal-related charities throughout Australia. 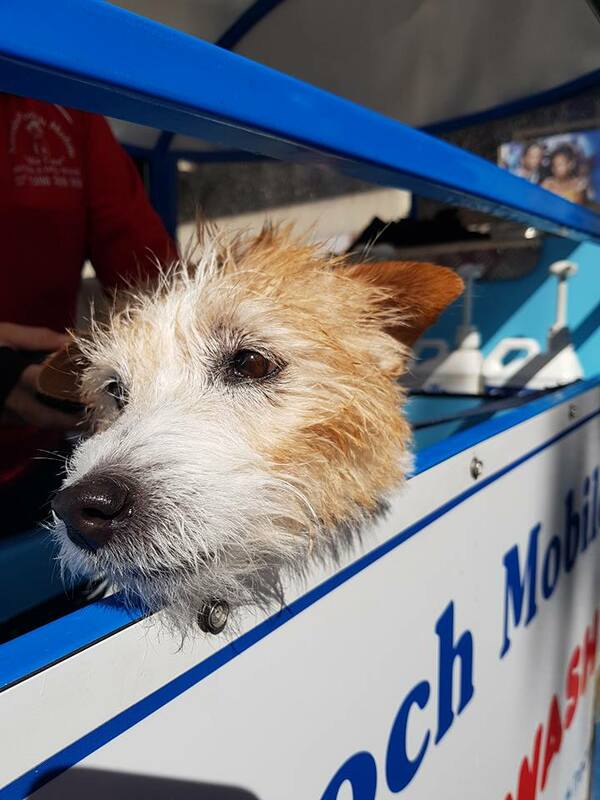 Other differences with Aussie Pooch Mobile dog wash and grooming include the flexible franchise packages we can tailor to a prospective franchisee’s budget, a lightweight trailer and large exclusive territories. We lead our industry in the area of social-media presence and innovative services including our latest Doggy Facial. 2. Are there advantages in being a mobile dog wash business? Having a mobile business, as opposed to an actual premises, gives the franchisee the flexibility to work the days and hours they want. They are also able to take holidays. Our mobile unit gives the franchisee the ability to promote their business throughout the territory. This is one of the top advantages of franchising with a mobile unit. Not having staff members or premises also helps reduce running costs. 3. How important is customer loyalty? Customer loyalty in our business is extremely important as 80 per cent of our customers re-book on a regular two- to four-week basis. One of the benefits of providing a service to the family pet is that customers generally treat the dog as part of the family and prefer to have the same person providing that service. This enables the franchisee to build solid relationships with the customers and their pooch. 4. What are some of the top advantages of franchising? These are just a few of the top advantages of franchising with Aussie Pooch Mobile dog wash and grooming. 5. Do franchisees have access to the franchisor’s buying power? 6. What costs can a franchisee expect? 7. What are some challenges of the dog wash business? Challenges vary from franchisee to franchisee. The most common challenge or fear that people have coming into this business is reversing a trailer and/or cutting dogs’ nails. Both these are covered during the training process so the franchisee is confident from day one. Whatever challenges our franchisee may come across, we provide ongoing coaching and training to help them overcome these. 8. Do franchisees have territories? 9. Is multi-unit ownership encouraged? As a rule we find an owner/operator archives far greater success than if a Blue Wheelers or Dash business is run under management with staff. We have a handful of businesses run this way, so it is permitted but not necessarily encouraged. 10. Do you agree with IbisWorld* that growing competition makes differentiation a struggle? In regards to large pet “retailers” there may be some truth to this, as we have seen with the grocery and fuel sectors. However our “service industry” business is based on building solid relationships with our customers. Our service started with a generation of customers who grew up in households where chores were shared, and now we have the next generation coming through where everything is outsourced. 11. How significant is the humanisation of pets as a part of the family? This is a major factor in the success of Aussie Pooch Mobile dog wash and grooming business. Our customers want to know that their family member (the dog) is receiving the best possible care. All our franchisees are fully trained in all aspects of the franchise system, including caring for the dog during the service and animal first aid. Customers do not want different people handling their dog so become loyal, regular clients. Another top advantages of franchising.